Hospital and doctor visits in the United States have surged by 20 percent in the past five years and the most commonly prescribed medications are antidepressants, according to statistics published on Friday. The report estimates that 1.2 billion visits were made to hospitals, emergency rooms and physicians' offices in 2005. "It was only a few years ago that we released that the total number of visits had reached 1 billion. And now we are up to 1.2 billion," Catharine Burt of the CDC's National Center for Health Statistics said in a telephone interview. "That's a 20 percent increase in the just the last five years -- a huge number," said Burt. "I can tell you that the number of hospitals and physicians has not increased 20 percent." The reason is clear -- Americans are getting older. "When you reach 50 things start going wrong, just little by little, and you keep going back to the doctors," Burt said. The baby boom generation -- born between 1946 and 1964 -- are now prime users of the medical system. Burt's team surveyed 352 hospitals and about 1,200 physicians throughout 2005 for the study. In one aspect of life after another McKibben shows us how globalization has destroyed communities and detracted from the quality of life of Americans. Lumber now comes from overexploited forests rather than carefully shepherded local woodlots. Our food travels 1,500 miles to reach us, and as we gather in celebration to eat it, globalization deprives us of further pleasures. I suspect that most older Americans can remember an uncle or aunt who sang at family weddings and get-togethers. Today, the pride they and their family took in such performances has been replaced by recorded music. It may be technically superior, but it lacks the heart and "community" of the old ways. There is evidence that all of this dysfunction is leading to an epidemic of psychological depression in America. This is where the story links back to Jules Feiffer. When that first collection of his cartoons was anthologized in Sick, Sick, Sick, the word "dysfunction" was not in our working vocabulary and was rarely used in any context other than physical (as opposed to psychological) medicine. Yet Feiffer saw the clouds of social dysfunction forming and predicted the consequences with his acidic illustrated vignettes. Now the CDC has confirmed that this social dysfunction is (normative?) way of life; and we have authors like Bill McKibben trying to tease out the causes. Unfortunately, just trying to puzzle out the mess we are now in is enough to make one reach for a prescription for "industrial strength" antidepressants! I decided to give a bit more thought to why Meredith Vieira's first "engagement" with an iPhone was such an embarrassment to her (if not to Apple). I would like to entertain the hypothesis that today's telephone users, particularly those who seem so good at one-handed operation of mobile phones, depend heavily on haptic cues, all of which are conspicuously absent from the smooth display surface of the iPhone. In all the hype that preceded yesterday's launch, there was almost no mention (if any) of the whole legacy of touch-sensitive interfaces whose displays (and, therefore, functionalities) keep changing. This has been investigated at least all the way back to the days when Bell Labs was a research powerhouse; and they were looking for ways to make telephone operators (remember them?) more productive. Think about it, though: How often do you “fly” your hand-held device by touch, without giving it very much focal visual attention. I suspect that all of us are now very good at feeling our way around standard telephone keypads; and I bet there is a whole culture that can do the same with Blackberry-style “mini-typewriters.” Now imagine what it would be like if your sense of touch were take away from you. My guess is that you would not be a very happy camper! I got over technology toys a long time ago; and my usual reaction to anything that is hyped runs the gamut from skepticism to downright aversion. Nevertheless, I found myself wondering, along with just about everyone else, whether or not the new Apple iPhone would even come close to all of its advance promotion, most of which seemed to be delivering that message that the iPhone would do to the cell phone what the Macintosh had done to the personal computer. Of course, if that was the message they really wanted to deliver, they should have come up with a commercial as mind-blowing as the "1984" Macintosh ad, rather than a demonstration of all the things an iPhone could do that looked more like a sleight-of-hand trick (with images that most of us knew were enhanced) than an actual demonstration. With a team of Apple representatives hovering off-screen, Vieira was supposed to receive a call from co-host Matt Lauer in London. The iPhone — billed by Apple as the most user-friendly smart phone ever — displayed the incoming call, but she couldn't answer it. One assumes that Ms. Vieira is pretty good at handling a cell phone; so if she fumbles her first "engagement" with an iPhone, where all she had to do was connect to an incoming call, then the Apple evangelists had better come up with a better explanation than calling her an idiot. (On the other hand, Ms. Kerris' "silent strategy" is not much better, since it means that she could not say anything about the user trials conducted before the device went to market.) This leaves me with one question: Even if the iPhone can do all those cool things show in the commercial (even without all that deceptive speed and high resolution), do I really want a mobile phone that just can't do a very good job of being a mobile phone? For me this may be an unfair question, since my current cell phone usage is about as minimal as one could get; but I know this puts me in a minority. I just hope all of those heavy cell phone users out there give my question serious consideration, though; and, the more they depend on their cell phone, the more seriously they should ask the question! Unfortunately, we are now probably too deep in the muck to tell the government to back off and let things work themselves out of their own accord. In a report on its examination of the net neutrality issue, the FTC on Wednesday didn't urge lawmakers to either pass or kill neutrality legislation but instead recommended that policymakers proceed with caution. The FTC said the broadband industry is moving toward more competition. Thus, in the absence of market failure, policy makers should be particularly careful in enacting new regulations. In other words "If it ain't broke, don't fix it," applied as a corollary to the principle, "Don't mess with things you don't understand." I have now lived through enough pendulum swings of regulation to experience the unpleasant consequences of both recklessly unregulated markets and markets constrained by ill-conceived regulations. The FTC is urging all parties to step back, take some deep breaths, and give the system enough time to work out where, if anywhere, regulation of the Internet would be appropriate. Such wisdom is rare these days, particularly coming from the government; but I hope that Congress sees the importance in heeding this bit of advice. Faith, Ambiguity, and "The Scum of the Earth"
One has to wonder how so many people can shell out so much money to see a musical version of Les Misérables and remain oblivious to the social conditions immediately around them (often right outside the door of the theater building in which they have seen the show). It may well be that the dazzle of the spectacle provide the ultimate distraction from those elements of plot and character that provide the backbone of Victor Hugo's original novel, meaning that Aristotle was probably on the right track when he was as dismissive of Spectacle as he was in his "Poetics" study. After all, if an author composes a fiction in the hope that his reader will reflect on the nature of his plot and characters, then the subordination of those elements might be perceived as an act of betrayal. However, if we have become a society that is simply not disposed to reflection, even in the stuff of our entertainment, then it should be no surprise that the superficiality of spectacle is all that matters and that the only readers likely to reflect on an author's texts are other authors. Among those authors who have reflected specifically upon Les Misérables, Mario Vargas Llosa may be one of the most interesting, simply because he has been as active in the world of politics as in the world of literature. It is thus rather exciting to see that his relatively brief book of reflections on this novel has now been translated into English by John King and published by Princeton University Press under the English title, The Temptation of the Impossible: Victor Hugo and Les Misérables. The temptation that Vargas Llosa addresses is the tendency to confuse the "reality" fabricated by fiction with the historical reality of the past or the "real reality" of the present, a topic that is sure to warm the hearts of postmodernists, if no one else. It was on the barricades of June 1848 that Hugo discovered the terrible truths that one can follow the dictates of one's conscience and yet not be on the side of good, and that the relatively straightforward path of political action can be just as ambiguous as a novel. It is hard to imagine anyone today writing the second half of that compound sentence without some gut-level awareness of the "path of political action" that has led an entire country into Iraq on the basis of "the dictates of one's conscience." To suggest that following such dictates would not necessarily "be on the side of good" is to apply the perceptions of literary criticism to expose the tragic flaws of a faith-based policy. One assumes that most of the policy-makers who have mired us in Iraq have all now been to at least one black-tie affair around a performance of Les Misérables. On the other hand it is hard to believe that many (if any) of them have approached Hugo's original text with the reflection that any author deserves, let alone the sort of reflection that has been mustered by Vargas Llosa, let alone by Robb's joint reflections on both Hugo and Vargas Llosa! Everything changes. Now one of the changes that has intrigued me this past decade is in the nature of the technology adoption curve. Simply put, for most of my life, I was used to a particular adoption curve. In order to experiment with emerging technologies, you had to be 28-40, a high-achieving professional, working for a company in aerospace, defence, high-end manufacturing or investment banking. Before 28 you didn’t have the seniority, after 40 you were past experimenting and having fun, you spent all your time in the paranoid timewasting that characterises so much of large-organisation behaviour. All that changed with Generation M. The pyramid sort of inverted overnight, as the mobile multitasking multimedia generation caught hold of life in their inimitable way. Now it’s the 14-25 year old who first gets to play. Now I have to confess that I am about as skeptical about Generation M as I was about a year ago when I wrote my "Generation M Goes to Work?" post on my last blog. This time, however, JP seems to have provoked me into thinking more about age itself. One of my conclusions is that, whatever the age numbers may be for technology adoption, I still subscribe to Mark Twain's aphorism about how our appreciation of age (his father in his case) advances along with the years we have lived. However, while Twain made his remark with a certain sense of comfortable satisfaction with the aging process, I see more of a "tragic sense of being." Consider the hypothesis that, in Heidegerrian language, we only really begin to appreciate our experiences of being-in-the-world once we have progressed beyond the age of 40. I would argue that this is the case because of all that biological evidence that addresses how past experiences bias present perceptions; and, in the way we tend to live today, 40 is about the age by which we have accumulated an experience base with a fair amount of both breadth and depth. As the above quotation points out, however, it is also the age at which we leave the "fun of the trenches" and succumb to the more deadening aspects of the workplace. At this point it is really tempting to invoke the concept of "wisdom;" but I need to avoid that temptation because of the ways in which the noun-games that have been brought on by knowledge management frenzy have robbed most of our common-sense vocabulary of all of its meaning. Let me, instead, continue with the vocabulary I was using in the last paragraph and suggest that, for all the claptrap that grew up along with knowledge management faddism, we still do not really comprehend the nature of that experience base at the level of either the individual or any of the communities in which that individual is embedded; and, since we understand it so poorly, we are equally inadequate in our efforts to leverage it, to engage the past as a valuable resource when confronting the issues of the present. These paragraphs were initially provoked because the paragraphs quoted above then led to some musing about examining Facebook usage data. I think there’s a big lesson for us all in the data presented above. Just For Fun leads, then comes Utility some way behind, then comes Gaming. Music, Photo, Video and Messaging bunch up a little later, and Business is around half the size of any one of those. I’m sure someone can write an app that plots the movement of numbers in each of these classifications over time, or make it possible for someone else to do it. Any views, Dave? Enjoying your travels? Now this is the supply side. What would be even more interesting is the demand side and how that behaves across these classifications? How many people are using applications in each classification? I accept there is risk of misclassification or fuzzy overlaps, but I am not looking for exact sciences here, I think the trend information is good enough. I find this an interesting intellectual exercise; but, amateur anthropologist that I am, I believe very strongly that supply-and-demand data need to be gathered and examined at both the microlevel and the macrolevel (which the above quotation has used as a point of departure). Furthermore, as the quotation suggests, both of these levels need to be analyzed diachronically, that is, attending to how they unfold in time, rather than how any “instance-snapshot” looks. This could lead us in a profoundly new direction, because while databases and "knowledge bases" may have failed us in our attempt to achieve a better understanding of personal experiences, the right mix of macroanalysis and microanalysis of behavior in a rich social environment like Facebook may yield more viable results, both in enhancing our understanding and enabling those experiences to be leveraged in present behavior. Perhaps I am being too optimistic about how much of the human condition we can ultimately grasp, but I think that the first steps in blazing this particular trail deserve serious attention! We should all be as fearless with our moments of opportunity as the 50 high schoolers named as Presidential Scholars were with theirs yesterday. Talk about stand and deliver. That’s chutzpa! I am willing to forgive Tim for ignoring the approved spelling of chutzpah (although I am not quite sure that I should be using the Oxford Shorter English Dictionary as a standard for a Yiddish word). I also wonder if this is more like a how-sharper-than-a-serpent's-tooth award; but there is definitely a strong sense of chutzpah in using a White House ceremony to attack White House policy. The week may be young, but these kids have now set a high bar for this week's award! Most people probably do not know very much about the heckelphone, if they are aware of it at all. As one might expect, there is a Wikipedia entry for it; but I have some doubts about the photograph, which is not quite consistent with what I have actually seen. The only reason have much awareness of the instrument was because I had a book of photographs of instruments of the orchestra when I was a kid, and I spent so much time with it that my memories of many of those photographs are pretty salient. However, my heckelphone memories were reinforced this season by having two occasions when I was consciously aware of the beast in action. The first one occurred near the end of last year. Carl St. Clair visited the San Francisco Conservatory and gave a master class in which he conducted the Conservatory Orchestra in selected movements from Gustav Holst's "Planets" suite. I was able to grab a good seat in the choir loft right above the percussion (ideal for this composition); and there, at the rear of the wind section, I saw my first heckelphone. Wikipedia cautions us not to confuse it with the bass oboe. However, its appearance is more like an English horn on growth hormones that is now ready to play center position for the NBA. I am not sure that it has many solo opportunities, but it definitely expands the spectral qualities of the wind section, lowering the tessitura of the English horn without in any way resembling the sound of a bassoon. I also have to say that St. Clair provided an ideal introduction to this sound. Holst had a hand in it, of course; but, as a conductor, St. Clair had uncanny precision in understanding how every individual voice in Holst's score contributed to the overall sound. I never saw a conductor work like him to fine-tune sound quality; and I have not heard one since him! Taken together, these examples raise an interesting point about experiencing music. There is no doubt that the Holst suite was instrumental (pun sort of intended) in launching the CD industry It became the great Poster Child for putting out sounds far beyond the capacity of the vinyl medium. Nevertheless, where both Strauss and Holst are involved, there has yet to be a recording that can match the sound of actually being there with the orchestra. There are just too many instruments contributing to that overall color, making anything coming out of even the best loudspeakers a pale abstraction of the composer's conception. This does not mean that I am removing my RIP of the earlier von Karajan Rosenkavalier recording from my hard drive, but it does mean that I shall continue to show up at physical performances of this opera whenever I have the opportunity! The thing about Der Rosenkavalier is that I always seem to find new ways of looking at it each time I see a performance. Furthermore, while I have seen all sorts of experiments in staging Mozart and Wagner, some of which have exhibited some departures that were both clever and original, it is hard to imagine Rosenkavalier "working" unless it is "played straight." The story just has too many things to tell in its intended setting to let revisionism get in the way. Thus, all originality lies in finding the best ways to play the cards that Richard Strauss and, more importantly, Hugo von Hofmannsthal, have dealt the performers. This time around I realized that Hofmannsthal had as deep a sense of philosophy as he had for human psychology, which is usually seen as the "heart" of this particular opera. In particular he has constructed a script that explores the very nature of time with a depth of perception that rivals the work of Augustine. We have a tendency to think that Hofmannsthal says his piece about time when the Marschallin reflects (the most deliberate pun in the script) on the image of her aging self in her mirror; but the Marschallin's is but one mirror is a sort of house of mirrors, leading to a dazzling compounding of reflections. Indeed, it is through the Marschallin that we appreciate just how unreflective Octavian is in Act I, how Sophie is not much better in Act II, and how little both of them grow in Act III. Nevertheless, it is in this house of mirrors that we discover (both dramatically and musically) how much of Act III is a reflection of the episodes in Act I. The really Augustinian coup that Hofmannsthal pull off, however, in regard to time is the way in which the past and the future emerge as tightly braided to the present. This is why the three voices of the trio are so close that they are always weaving in and out of each other. The Marschallin finally sees her past reflected in the present of Octavian and his future with Sophie, and it is through seeing this that she can now let go of Octavian not only without regret or resignation but almost with a newfound happiness in the wisdom that age has brought her. Furthermore, lest I sound too disparaging of Octavian, I have to say that Joyce DiDonato, in the performance she is currently giving at San Francisco Opera, has endowed him with one crucial insight. After the first two acts of all the variations on the ceremonial bows of the nobility, once everything is patched up with Faninal, Octavian's future father-in-law executes one last fumbled attempt at one of those bows; and Octavian simply extends his hand to shake. This is why Rosenkavalier needs the setting in which it was conceived, Vienna in the early years of the reign of the Empress Maria Theresa. As the world begins to yield to Faninal's bourgeoisie, it is also just beginning to experience the insights of the Enlightenment. If those insights would ultimately lead to a Reign of Terror in France, in Vienna Octavian is presented to us by Hofmannsthal as at least one member of the nobility to accepts the need for change and embraces it as much as the Marschallin has learned to embrace the need for change in her own life. As I said, there is so much we can learn each time this opera is performed! Newsom's executive order bars city departments, agencies and contractors from using city funds to serve water in plastic bottles and in larger dispensers when tap water is available. "In San Francisco, for the price of one 1 gallon (3.8 liters) of bottled water, local residents can purchase 1,000 gallons of tap water," according to the mayor's order. Newsom estimates San Francisco could save $500,000 a year under his directive, which also addresses environmental concerns over the amount of oil used to make and transport plastic water bottles. Yes, the Mayor may be jockeying for some good news when the press is on his case for a variety of other matters; but common sense seems so rare in the world of politics that it is worth acknowledging any instance of it! On Saturday I wrote, "Effective managers know better than to try to freeze the world into a state they can examine." However, using some of my personal experience as a reality check, I realize that I may have been waxing over an ideal conception of an effective manager. In particular I was reminded of the extent to which quarterly reports constitute an instance of freezing the world into a state for scrupulous examination by a variety of agents, including, among others, senior managers within the business and external auditors. I once proposed to a friend of mine at Accenture that such "snapshots" are analogous to what is called “taking the history of the patient” in medicine. I then proposed that I could prepare a talk for him on the value of using the practice of health maintenance (disregarding the contamination of that process by business interests) as a better metaphor for business operations than curing disease. The former is actually more consistent with artifacts such as those quarterly reports; but my friend warned that such an analogy might be too “radical” for his colleagues! My point is that, in health maintenance, we take snapshots as a way to think about the transitions between the states. More specifically, we want to know if the “flow of body processes” is “running smoothly” or if there are indications of “malfunctioning behavior.” My guess is that, in finance, one does this without thinking consciously about it; but I fear that the real danger of “IT thinking” is that we end up abstracting away some of the most important parts of what we do unconsciously in the interests of system implementation. This is the basis for my Cassandra-like passions about our debilitating fixation with state; and I seem to be reminded of the dangers I fear just about every day in at least one of my business interactions! All of the pianists, except for Bronfman, also participated in pre-concert recitals, the first of which also included Alexander Barantschik playing the first violin sonata with Feltsman. There is no question that Prokofiev's piano music shows him at his most virtuosic, but was he really a "firebrand" or was he more like that old joke about the monorail, "an idea of the future whose time has passed?" He certainly found himself in the right place at the right time for music revolutions. Indeed, as Figes points out, his most influential teacher, Tcherepnin, was Diaghilev's first choice for the composer of "The Firebird" for the Ballets Russes. However, Tcherepnin withdrew from that project; and Diaghilev turned to Lyadov, Glazunov, and finally Stravinsky. Had Diaghilev not "discovered" Stravinsky through this turn of events, one has to wonder if Karsavina would then have been featured in "Petrushka," which, in turn, would lead to Nijinsky getting his "Rite of Spring" project. If we want to use a noun like "firebrand," then, in reviewing the history of music in the twentieth century (or at least the first half of the century), then there is little disagreement that "The Rite of Spring" was the mother of all firebrands! Even Stravinsky recognized this, and what makes his life so interesting is how he could keep going down new roads rather than trying to rework past achievements. Alas, Prokofiev is an entirely different bowl of borscht. If his piano music is any indication, he must have been an awesome performer. Nevertheless, Figes suggests that the reason Prokofiev chose to leave the United States in favor of Stalinist Russia is that he felt he could not compete with Rachmaninoff. This may not say anything about talent, but it may say something about not knowing how best to exploit a situation. So, just as Prokofiev's teacher was driven into obscurity by the young upstart Stravinsky, Prokofiev may just have been bested by those with more talent for Isaiah Berlin's version of "Political Judgement." On the other hand, in spite of all the good intentions behind the "mini-festival," talent may have been a factor in the rather dismissive attitude we have towards Prokofiev's compositions today. Of the five concertos the third is really the only one that gets regular performance, and it probably has the most compositional coherence. The fourth was written for Paul Wittgenstein, who had lost his right arm in World War I; but Wittgenstein wanted nothing to do with the piece after he saw it. The grinding repetition that opens the first may have been provocative in 1911; but to today's post-minimalist ears it is just flat-out tedious. On the other hand the fifth is structured in five movements, each of which is to brief to every show the signs of development that have made San Francisco audiences such Mahler fanatics. What remains, unfortunately, are massive eruptions of sound. I doubt that the bass drum player has ever been busier than he has been with this cycle of concerts. As a matter of fact, I was surprised to discover that there was no timpani part in the Kijé suite. However, since this was film music at a time when film sound was pretty crude, it may just have been that Prokofiev realized that timpani pitches would not register on a soundtrack, just as the rawness of his Alexander Nevsky score had a lot to do with what film viewers could actually hear. Perhaps the film projects were the best expressions of Prokofiev's compositional talents. Perhaps he was better as a problem solver, dealing with the fact that the medium of film was so radically different from the medium of the concert hall. Perhaps, also, Eisenstein gave him the projects that most stimulated his creativity. So, if we end up remembering Prokofiev only through the lens of film history, we may appreciate him more than if we try to pit him against Stravinsky or, for that matter, even Rachmaninoff. This morning I realized that, while I have been all too eager to vent my position on the "knowledge management mess," I have not respected my own injunction to apply the Neustadt-May thinking-in-time strategy by asking how we got into the mess in the first place. As the comments keep coming in on Lou Paglia's CoRrElate blog in response to his most recent post on knowledge management, I think I may be able to start conjecturing about this Neustadt-May question. That conjecture is based on another of my favorite themes, which I have called the "epistemological comfort" of nouns and noun phrases. Effective managers know better than to try to freeze the world into a state they can examine. (This is why I have tried to follow Isaiah Berlin's lead, taking his text about Bismarck in his "Political Judgement" essay as a "blueprint" for effective management.) It may be that IT has ultimately sapped managers of the skills they once had for dealing with the flow of activities of business while they are flowing; and we can now witness the consequences of this “addiction to the static” just about every day. Unfortunately, our perceptions have become so warped that we barely recognize these consequences, which may explain one of my other favorite themes: our inability to summon the will to do anything about the messes in which we situate ourselves! Two month's ago I explored the concept of "culture death," as it has been discussed in an article Charles Taylor had written for The New York Review. This morning I was confronted with the "inconvenient truth" that those who perpetrate culture death can easily hide behind anonymity. This confrontation was provided by Kate Mayberry in an article she filed for Al Jazeera English from Sarawak, one of the Malaysian states on the island of Borneo. Her article is a much more immediate account of culture death than was Taylor's examination of the fate of the Crow Indians. The latter may have been closer to home in space; but, if, for better or worse, globalization is all about the "disappearance of space," then it is more important that Ms. Mayberry was closer to home in time. The victims she examined are the Penan, one of the world's last nomadic peoples confronted with a world that, with its rigid definitions of property, no longer has a place for nomads. In modern language nomadism is a subsistence economy: One moves in search of the resources that provide subsistence, usually through hunting and gathering. The cause of the culture death of the Penan is the exploitation of the resources on Borneo in the interest of the logging industry. We are thus confronted once again with that inexorable Dickensian logic of Little Dorrit: the culture death of the Penan is "nobody's fault." However, while I first attacked this logic for an offense of cultural insult, the death of a nomadic culture is as serious a matter as any act of "ethnic cleansing," even if only about 10,000 of the Penan still remain, a number dwarfed by most statistics of ethnic cleansing. These reflections haunt me as I ponder my weekly Chutzpah award. If this is really "nobody's fault," then who is committing the chutzpah? However, the point behind Dickens' turn of phrase is not that no one is at fault for all the misfortunes that surround Dorrit's life but that those who are at fault hide behind anonymity, just as those who are perpetrating the culture death of the Penan. Act of chutzpah are being committed in the name of globalization, and they should not go unrecognized just because they cannot be attributed to specific agents. Law & Order fans have encountered that strategy of putting out an arrest warrant for an individual identified only by DNA. Since we are not dealing with issues of due process of law here, there seems nothing wrong with identifying an agent on the basis of his or her acts, rather than a specific name. In the case of the Penan, there are actually any number of agents responsible for the chutzpah. These include those who work for the logging companies, those who run those logging companies, those who have a voice as shareholders in the logging companies, and, of course, those involved with both international and Malaysian national policy-making, who create the context in which the interests of the logging companies trump those of 10,000 indigenous nomads. Needless to say, all of those agents would prefer to remain anonymous rather than stepping forward to accept the Chutzpah of the Week award; so the only comfort the rest of us can take is that they know who they are! Those authors who published journalistic accounts immediately after the event failed to see how their metaphors fell dead from their mouths before the astonishing live pictures. It did not help us to be told by imaginative writers that the second plane was like someone posting a letter. No, it wasn't. It was like a passenger jet crashing into an office building. It gave us nothing to be told that the South Tower came down like an elevator at full speed. No, it didn't. It collapsed like a building that could no longer hold itself up. Metaphor failed to do anything but make one feel that those keen to deploy it had not been watching enough television. After the "nonfiction novel," after the New Journalism, after several decades in which some of America's most vivid writing about real events was seen to be in thrall to the techniques of novelists, September 11 offered a few hours when American novelists could only sit at home while journalism taught them fierce lessons in multivocality, point of view, the structure of plot, interior monologue, the pressure of history, the force of silence, and the uncanny. Actuality showed its own naked art that day. In 1936 Walter Benjamin (as translated into English by Harry Zohn) argued "that the art of storytelling is coming to an end," primarily because "experience has fallen in value." Even with his direct experiences of Nazi Germany, Benjamin probably could not have anticipated an experience like 9/11; and, whether we subscribe to his argument or not, there is no question that 9/11 has changed that "art of storytelling" in ways that could never have been anticipated. Not only was it an experience felt around the world; but I doubt that anyone, regardless of cultural context, would have called it an experience of decreased value (even if the task of actually valuing the experience is so problematic that it is as challenging today as it was half a decade ago). As to that "art of storytelling," if it has not come to and end, it has certainly suffered a loss, possibly one as great as the loss of the Towers and all the lives that perished on their site. Before 9/11, if we wanted to argue for Benjamin, we could point to television and the ways in which its raw commercialism had reduced storytelling to an endless recycling of the trivial and the banal. After 9/11 those who still valued the art of storytelling discovered that they were the ones who had been impoverished by not "watching enough television." The commercial bean-counters on the business side of the television industry recognized this very quickly and concluded that the experiences that pumped the creative juices of their hired storytellers had "fallen in value," to the extent that those storytellers were becoming superfluous. Invoking an evolutionary metaphor, their species had become endangered by "reality itself;" and so "reality itself" became the new bread-and-butter of commercial television, assuming that task of recycling the trivial and the banal far more effectively than the fictions of storytellers could ever do. Ultimately, O'Hagan's review says less about DiLillo's weaknesses (or strengths) as a storyteller and more about what 9/11 has done to our capacity for reading (or listening to or viewing) such stories. How ironic, then, that, as "reality itself" has undermined that capacity for fiction, we divide our leisure time between reality television and virtual worlds that allow us to escape from a reality that is "too much with us." Well, maybe it is not so much ironic as it is downright bipolar! Perhaps these are symptoms of a pathology that we are just beginning to conceptualize and will demand far more examination before we can pretend to understand it. Whatever the case may be, 9/11 exposed the triviality of futuristic proclamations that "the Internet changes everything" by immersing us way over our heads in the full implications of "changes everything." O'Hagan's essay demonstrates that it has taken us well over half a decade to come face-to-face with this raw truth; and, if, as he argues, the very life has been sucked out of our talents for imagination, have we even the foggiest idea of how to react to that confrontation? I watched the joint remarks by Olmert and Bush on BBC World Service Television (by way of PBS) yesterday afternoon; and, as usual, my capacity for “linguistic microstrategy” was in full gear. I found myself particularly rankled when he insisted on characterizing the newly installed (not elected) Palestinian Prime Minister with that little clause, “who is a good fellow,” as if that was all that really mattered. I suppose I needed to be reminded, once again, that our President still reduces everything to a Manichaean battle between good and evil (in which he, alone except for his direct line to God, seems to be privy to what gets classified as which). You really have to wonder just how much information about Fayyad has been provided in any of the recent Presidential Daily Briefings (or, for that matter, how much time the President spends reading and digesting those Briefings). In his column this morning (which, as usual, also appeared on Truthdig) Robert Scheer invoked Marx (who attributed it to Hegel but scholars are still scrambling to find the source) in arguing that the Palestinians need to make their own history. That passage comes from the same Marx source as the one where he talks about history repeating in such a way that what is tragedy the first time around becomes farce the second. Bush’s reduction of Fayyad to “a good fellow” reminds us of his similar good-and-evil assessment after his first meeting with Putin. As Anna Politkovskaya kept trying to tell Russia (and, to the extent that she could, the rest of the world), Putin was up to his eyeballs in making his own tragedies; and it took someone like Bush to turn it around into farce (albeit a gruesome one). It would be fair to say that the Palestinians have known only tragedy for the entirety of my lifetime, and I can only shudder to think what kind of farce American policy may be cooking up for them. Early in this year I found myself very interested in the emergence of the concept of "regional money." I first became aware of the concept through a BBC report on the Urstromtaler, a currency in Magdeburg that could only be used for payment in local businesses. These notes could be exchanged with Euros at a 1:1 exchange rate; but every note had a time limit, after which it would begin to lose value. By the time SPIEGEL ONLINE ran an analysis of this idea, the approach had been adopted by 22 regions in Germany. Since the SPIEGEL analysis was not a particularly optimistic one, I am very curious as to how well these programs will fare. My guess is that the strength of the system will depend heavily on the strength of the community, doing best in settings that are tightly-knit socially and do not want to see their regional commerce swallowed up and spit out by the monster of globalization, over which they have no control, let alone a voice that can be heard. I also suspect that American regional money reflects discontent not only with globalization but also with a national government that is perceived as placing itself further and further away from the needs and aspirations of ordinary American citizens. In a way it is a variation on that small New England town that put all of its tax revenue into an escrow account, telling the Federal Government that the money would remain there until the country pulled out of Vietnam. Sometimes you have to do things just to get the Government to pay attention to you, and that may turn out to be the primary service that regional money provides. When I first saw the headline for Michael Cieply's story in today's New York Times, "‘The Kingdom’ Gambles That Entertainment Can Trump Politics," I was pretty sure that the article was not going to have anything to do with Lars von Trier or, for that matter, Stephen King's effort to migrate von Trier's loopy tale of old ghosts in a new hospital building from Denmark to Maine. (I was hopelessly addicted to both of these exercises. I particularly liked the way King could pick up on von Trier's ludic antics while always keeping them subtle, as in his self-and-other-referential naming of one of his nurses "Carrie von Trier!") For better or worse, however, the closest that the Kingdom in Mr. Cieply's article gets to these predecessors is that director Peter Berg played Dr. Billy Kronk in Chicago Hope. This particular "kingdom" is Saudi Arabia; and, as Mr. Cieply describes it, the film is "about the F.B.I.’s pursuit of Islamic bad guys in a not particularly hospitable Saudi Arabia." Initially several Saudis were retained to provide cultural advice, though one, Mr. Berg said, was distanced from the project after he developed a crush on Ms. Garner. Rich Klein of the Kissinger McLarty Associates consulting firm was a key political adviser. “It became an exercise in honesty,” said Mr. Klein, a former State Department official who patrolled matters as small as the styling of the characters’ thobes — long-sleeved Saudi robes — or the likely back-story of an American diplomat played by Jeremy Piven. The Saudi embassy’s press office in Washington did not respond to queries about the film. The first sentence is just pure irony, the sort of thing you would find in just about any attempt to parody Hollywood-as-business. However, Rich Klein is the "hero" of the mini-narrative embedded in these paragraphs. The idea of a member of Henry Kissinger's consulting firm talking to the press about "an exercise in honesty" is, for me at least, right up there with those representatives of the tobacco industry delivering their straight-faced declarations that cigarettes have nothing to do with cancer. One can hardly be surprised that the Saudi's are trying to distance themselves from this project as much as Mr. Berg distanced himself from his own star-struck Saudi! Will all this amount to anything? Will The Kingdom really turn out to demonstrate, as the Times headline is suggesting, "that entertainment can trump politics?" Ultimately it will all boil down to how entertaining the movie turns out to be, once the marketing folks are done with their focus groups, test screenings, and other "instruments." After all, politics, itself, has always been a source of entertainment; but it is beginning to look like the people who matter most (who, as anyone familiar with Hollywood-as-business knows, are the people who determine the box office numbers on the weekend when the film is released) are beginning to tire of politics-as-entertainment. Who can blame them? An overcrowded field of Tweedledees and Tweedledums scrambling for the White House with the support of an equally overcrowded field of "Sabbath-day gasbags" (thank you, again, Calvin Trillin) have pretty much sucked the life out of the entertainment factor. On that weekend of release, I doubt that very many ticket-buyers will be thinking about Saudi Arabia. They just want to know if they are going to see a good cop movie; and they have enough unhappy experience to know enough not to rely on any "surge" of buzz aimed at which ticket they choose to buy. I tend to agree with the general consensus that there is not much to see in either of Michael Henry Carter's "Eagle One" movies, The Hunt for Eagle One and The Hunt for Eagle One: Crash Point; but I do have an interesting observation about Mel Lewis, who composed the music for both of these films. He seemed to have decided that, since the two films share the same major characters, they should also share a leitmotif. He then decided that the best source for this leitmotif would be plainchant; and, rather than follow the path taken by so many composers that leads to the "Dies Irae" sequence, he decided to draw upon a sequence for the Easter Sunday Mass, "Victimae Paschali Laudes." The first line of text, "Victimae Paschali laudes immolent Christiani," can be translated as "Christians to the Paschal Victim offer sacrifice and praise." The remaining lines then develop the dual themes of sacrifice and resurrection. I doubt that any of the connotations of this hymn were meant to apply to the characters or situations in either of the films; but, since I found myself thinking about musical borrowing this morning, it is at least mildly amusing to see a deservedly obscure Hollywood hack drawing upon one of the earliest pieces of Western music, which deserves to be known by more than an elite contingent of music students! The borrowings Gluck made in this, his last significant opera, are numerous, and many scholars feel that they constitute a "summing up" of the artistic ideals he pursued throughout his career as a composer. Most of the reused music is his own, culled from his earlier, Italian-language operas or from his ballet Don Juan (1761). The Act II music for the Furies, for example, adapts music from Gluck's ballet. In at least one case, however, an aria in Iphigénie en Tauride is actually Gluck borrowing from himself borrowing from Johann Sebastian Bach; the Act IV number for Iphigenia, "Je t'implore et je tremble," is a parody of "Perchè, se tanti siete" from Gluck's Antigono, which in turn uses material from the Gigue of the Partita no. 1 in B Flat (BWV 825) by Bach. That last sentence should explain the rather playful title I composed for this post! I was also pleased to see that this entry has hyperlinks to both the San Francisco Opera page for the production I saw and the Lyric Opera of Chicago page for their performance of the same production. I should also mention (since I so rarely have anything nice to say about Wikipedia!) that the "background piece" that Michael Zwiebach prepared for San Francisco Classical Voice, while it offers some very interesting perspectives on Gluck, seems to have overlooked the idea of this particularly opera being an act of "summing up." I am usually not happy with an opera review whose primary advice is "just close your eyes and listen to the music;" but I have to confess that that is how I felt about the San Francisco Opera production of Gluck's Iphigénie en Tauride. All the musical values were of the highest order. With the possible exception of a slightly ragged start, Patrick Summers had excellent senses of both pace and balance, both within the pit and in the relationship between the orchestra and the voices on stage. The principal voices, Mark Doss, Bo Skovhus, Paul Groves, and particularly Susan Graham, who has precious little time off stage to recharge her batteries, were all solidly on top of the music. All this made for the sort of performance that left one wondering why one does not hear more of Gluck. After all, this opera had its first performance in May of 1779, a little less than two years before the first performance of Idomeneo; and, while Gluck and Mozart have significantly different approaches to their grammar and rhetoric (not to mention a debt to Johann Sebastian Bach, which, in Gluck's case was almost blatant), each composer came up with a striking dramatic approach to a post-Trojan-War subject. Unfortunately, the combination of the staging conceived by Robert Carsen and the choreography prepared by Phillipe Giraudeau threatened to drown the sublime of Gluck in a flood of the ridiculous. Giraudeau probably deserves the lion's share of the blame. His biography did not indicate any connection with Pina Bausch; but, like his colleague, he has the problem of never being content with doing anything once (or twice, for that matter). Everything is repeated to excess, as if this will somehow add to the gravitas of a story told in the context of a series of intra-familial murders. Combined with Carsen's black-on-black vision, there is also a strong scent of the over-stylized movements for which The Living Theatre was notorious. This all went to demonstrate why less is sometimes more. Last month I wrote about a concert performance of Berlioz' Damnation of Faust, where the only "staging" was a matter of deportment and a minimal allotment of gestures. Gluck's music is far more austere than Berlioz' (although sometime just as fiery); and, given the general austerity of approaches to production in Ancient Greece, a bit of respect for minimality would probably have been in order. Nevertheless, however shopworn the observation may be, it was definitely a treat to be able to hear this music! Between my revisiting (once again) questions of "knowledge management" and finding myself in arguments about Noam Chomsky over at Truthdig, I realize that it may be time for me to return to more fundamental questions of the nature of cognition. This time around, however, I think I can now the enjoy the advantage of all the time I have put into reading Anthony Giddens and my efforts to feel more comfortable with his theory of structuration. This is a theory of how social systems can replicate themselves that is based on a dialectical relationship between the structural and behavioral properties of the system. This is an approach that Giddens himself acknowledges as being heavily informed by recent hermeneutic thinking. Hermeneutics had its origins in the decoding of obscure Biblical texts; but, over the last two centuries, it has expanded to encompass the more general body of texts. More recently, Paul Ricœur expanded even further to encompass actions, as well as texts; so it is not too much of a stretch to take a hermeneutic stance in thinking about general cognition. The "Chomsky connection" comes from the question of whether cognitive behavior (in Chomsky's case the capacity for using language) can be grounded in structures, particularly structures that are innate in humans by virtue of their genetic makeup. One of Chomsky's early bursts of polemic was an attack on B. F. Skinner's book, Linguistic Behavior, which was grounded in the premise that all behaviors were conditioned by experiences and had nothing to do with any a priori structures in the "body" doing the experiencing. Giddens' dialectical stance toward the reproduction of social systems argues that neither of structure and behavior is in any way prior to the other. Rather, structuration is the ongoing process through which each induces change in the other. Giddens sees the structure of a social system as an organization of rules and resources. That structure provides a framework within which actors, both individually and in groups, cultivate and exercise "regular social practices." Those practices, however, can induce changes in the framework of rules and resources; and, by the same token, those changes can induce changes in the "regular social practices." So, in the spirit of dialectical synthesis, structure and behavior "feed" each other, rather than opposing each other. Consider, now, how we exercise our capacity for cognition (a turn of phrase that I find far more apposite than "manage our knowledge"); and, since I came into this by reviewing Chomsky, let us concentrate on linguistic capacity. Chomsky is probably still the strongest card in the hand of structuralist positivism. 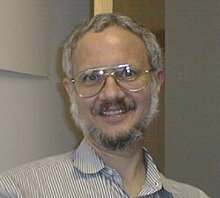 When I heard him lecture at UCLA about twenty years ago, he made it clear that he believe that, sooner or later, all questions of semantics would eventually be reduced to questions about syntactic structures, the discipline he devoted most of his career to exploring (when he was not writing about politics). This amounted to a flat-our rejection of Wittgenstein's behavioral premise that we can only understand a word in the context of its use; and, to this day, the disciples of these two schools of thought continue to go at it head-to-head. In the face of such a sharp opposition, one cannot resist the dialectical urge to seek out synthesis; and Giddens may be the one to point us in the right direction. Beginning from the "other side of the coin," so to speak, this time, we could say that Wittgenstein argues that we need to examine the "regular social practices" that arise through the ways in which we use language. To appropriate J. L. Austin's turn of phrase, we need to examine how we "do things with words;" and Habermas tried to extend that strategy to a more general view of social practice with his theory of "communicative action." However, as Giddens knew full well, one cannot talk about any practice without situating it in a structural framework; so the path that leads us from Wittgenstein through Austin into Habermas is one that gradually assembles such a framework of resources and rules that govern those resources. The framework we know best is the one we use to parse sentences, but these days it is hard to maintain Chomsky's strong conviction that syntactic structures can carry all the weight. Furthermore, the more we know about the plasticity of cortical behavior, the easier it is for us to accept Giddens' proposition that this framework is always changing in response to the practices that take place within in, which brings us back to the premise that changes in the framework also induce changes in the practices. For those of us who live in the "real world" (or, perhaps worse, the "world of business"), the opposition of Chomsky and Wittgenstein may seem like an academic exercise; but the ongoing intrusion of the word "knowledge" in the way we now talk about work is another matter. This exercise does nothing more than reinforce yesterday's argument that using this word does not serve us very well, then I can take some satisfaction in the "journey" I have just conducted. I may not like it; but I am realistic enough to know that we all now live in a techno-centric world. Techno-centrism survives and sustains itself by focusing on structures, usually to the extent that we try to abstract our very "sense of reality" (appropriating this time from Isaiah Berlin) into structural representations. However, when we deep-end on those abstractions to the extent that we lose touch with the social practices, we run the risk of also abstracting away the human nature of the people who are supposed to be served by our technologies. If this means that we lose touch with what I have previously called "the human side of doing business," then it may be time to step back and ask why we are doing business at all or, to sound even more extreme, what right we have to lay claim to our own existence. Last month I wrote a post about what I called the "knowledge management mess" in response to a post about knowledge management that Lou Paglia had written on his CoRrElate blog. This morning I read Lou's latest post on this subject; and, while I still feel that the area is as much of a mess as it ever was, Lou's comments section tends to have a lot of positive karma. So, in the interest of my positive thinking, I would like to offer a “modest proposal” for getting out of the mess. The basic idea is this: Since the proper domain of management is concerned with what people do, we should pay more attention to the actions that take place in any work situation and then direct our inquiry towards how those actions come to occur. To a great extent our actions are informed by what we know; but because, like the fox, we know a great many things, we cannot fall back on a vague concept like “knowledge” to satisfy our inquiry. Rather, in the tradition of Max Weber, we need to take a more analytic approach to the actions themselves and then, in a parallel tradition of Kenneth Burke, we need to take an equally analytic approach to the motives that drive those actions. There have been a variety of ways to prepare for Meadowlands, Showtime's latest attempt to push the envelope in its efforts to keep up with the bold pace set by HBO. As they did with The Tudors (one of their weakest efforts in my opinion), the released the first episode through their On Demand service prior to its official "launch" on Sunday evening. This meant that some of us had the advantage of reading Tim Goodman's Chronicle review retrospectively, rather than prospectively; and in this particular case I am glad I had that advantage, because I really did not buy just about anything that Goodman had to say about the series. In that sense [that American television is pale by British standards], "Meadowlands" -- made in England, winnowed from the pack of dramatic offerings and playing out eight episodes on Showtime starting Sunday -- is a little gift of appreciation for the hometown guys. Not only does "Meadowlands" fail to reach the level of any number of shows on HBO, Showtime or FX, but it proves that complicated slices of mainstream fare like "Lost" and "Heroes" are wonderful creations that need a lot more respect than they're getting. Although there are clearly elements of the 1960s British series The Prisoner, Cape Wrath is quite audacious in its homage to Twin Peaks, The Truman Show, American Beauty and Desperate Housewives. It's no surprise that one of the directors, Duane Clark, is an American who made his name on CSI: Miami. "I could see those references too," says Morrissey in his soft Liverpool accent. "It will be interesting to see what the Americans make of it." Without having seen either article (since we watched the On Demand source a couple of nights ago), my wife picked up on the "family resemblance" to The Prisoner almost immediately; and, yes, anyone who misses David Lynch's devil-may-care approach to throwing everything but the kitchen sink (and a few basic precepts of logic) at the viewer is not going to disappointed with Meadowlands. Now that both Goodman and Raphael have spilled the beans, it will not spoil anything to say that "Meadowlands" is the name of a community (not that different in appearance from Agrestic, dear to the hard of Weeds viewers), all of whose residents are apparently in witness protection. We follow the protagonist's family, "put into all-too-hip designer eye masks and raced in a van to a bucolic suburban setting," as Goodman put it. Of course you cannot have a bucolic setting in England without sheep; but that just helps you remember the name of the community ("the sheep in the meadow")! So things are weird, in that Lynch kind of way, from the get-go; and the first episode certainly did not have any trouble with keeping them that way. This was definitely my kind of fun. Even if I disagree with him, I do have to credit Goodman for a bit of trivia that may or may not be relevant. Meadowlands was filmed on location in the village of Maidstone. This may only be meaningful to fans of Alan Bennett's An Englishman Abroad, his dramatization of Coral Browne's account of her encounter with Guy Burgess when she toured with the Old Vic and performed in Moscow. Burgess wanted her to arrange for his London tailor to provide him with a new suit (with all due discretion, given his disgraced status). So there is this great scene where Browne places the order and then cautions the tailor to "remember, mum's the word." The tailor gives her a haughty glance and declares, "For our customers, Moscow or Maidstone, mum is always the word!" My guess is that the producers were not thinking about this when they selected their location, but it is still an amusing coincidence. One of my favorite topics is the way in which our techno-centric society tries to deny the humanity of the people it is supposed to be serving, preferring to treat them as objects in some vast "information management system" (usually so complex that no one can understand it), rather than the motivated subjects that they really are. If you hang around too much with the right (or wrong) postmodernist types, you might even slip into calling this "the objectification of the subject." However, as I discovered in my examination of the Cluetrain mantra ("markets are conversations"), the best thing to do with a motto is stand it on its head. If you are lucky, that will not only ground the motto in a more solid reality but also reinforce your understanding of the world beyond that motto. Not too long ago, my wife bought some shampoo. (I suppose a few cognitive wheels just started grinding. Was that a deliberate non sequitur? Is he playing games with the noun "head?" Relax, reader; or, as the Brits like to say, "Wait for it.") The name of the product (honoring the use of case on the bottle) was "hello hydration;" but what really got to me was a sentence just above the line giving the quantity of shampoo in the bottle. That line read, "I'm a moisture packed multi-tasker." This really got to me. Here is a bottle of shampoo that starts out by greeting me with a salutation ("hello") and then wants to talk to me in a first-person-based declarative sentence! This bottle of shampoo, which has got to be an object by just about any criterion you can imagine (even before getting to all the databases that keep track of its production, distribution, and sales) is trying to act like a subject! Yes, dear reader, your wait is over: The world of marketing is now assaulting us with the subjectification of the object! Can any good come of this; or is it just the clever idea of someone who figured that, if it worked for the pet rock, it could work for the "testifying shampoo bottle?" Well, I may be making too much of a silly marketing gesture; but something bothers me about a society that is willing to treat a shampoo bottle as a "subject" but cannot afford the same recognition to the members of some poor black family who lost everything to Katrina. Once I might have thought it extreme to view simple products like shampoo as a sign of creeping racism; but the more I look at how we reveal ourselves in how we use language in even the most mundane setting, such a perspective just does not feel that extreme! As part of its growing intelligence operations within the United States, the FBI has increased its surreptitious entry and search missions since the Sept. 11, 2001 attacks, according to an unclassified bureau document. "The refocusing of FBI operational priorities and the new emphasis placed on intelligence-based activities. . . has resulted in a dramatic increase" in the demand for so-called 'black bag" jobs, in which teams of highly-trained specialists covertly enter a home or office, search its contents and leave without indicating they had been there, states the budget document. It does not detail how many of the secret searches it carries out, and the FBI did not respond to comment. Don't you love the bureaucratic language? Don't think of this as an abuse of the Bill of Rights. It just a "refocusing of … operational priorities!" (It sounds a lot like the language you hear when you lose your job to downsizing, doesn't it? The moves are always the same. It's just the game-board the keeps changing!) So you can certainly try to hide under the bed, but don't be surprised if you find the FBI there looking for who-knows-what! The formal naming of UB313 as "Eris" has been nothing but trouble for Pluto. Last year when the Hubble Space Telescope established that Eris had a larger diameter than Pluto, the International Astronomical Union introduced the category of "dwarf planet" and demoted Pluto into this new category, which it shared with Eris and Ceres (previously recognized as the largest asteroid in the belt between Mars and Jupiter. To add insult to injury, yesterday the BBC reported that the mass or Eris also exceeds that of Pluto. Indeed, it has enough mass to sustain an orbiting moon, which has been named Dysnomia and was used to calculate this mass. Never has there been such an apposite assignment of names! Crossword puzzle solvers are probably familiar with Eris. She is the daughter of Ares (Mars); and her name means "discord." Dysnomia is her daughter; and her name means "lawlessness." Pluto, of course, is the Roman name for Hades, who rules over the dead in the underworld (and happens to be Ceres' son-in-law). Never a particularly cheerful sort, his gloom has now been elevated by the grandchild of his brother Jupiter (Zeus)! The BBC appears to have appreciated this amusing collision of art and life, but only in a sidebar of details about Eris (the dwarf planet), which carries the headline "World of Discord!" This month began with a report that Julian O' Halloran prepared BBC File On 4 on the failure of the Emission Trading Scheme, the specific "economic machinery" behind the carbon credit for the European Union. O' Halloran got Ian Pearson, Minister for Climate Change, to admit that the first phase of this scheme had not delivered on its promises; but Pearson hung tough on his conviction that "Phase Two will be a big, big improvement." Phase Two is supposed to run from 2008 to 2012, and now the World Wildlife Fund is ready to declare it a bust "because of the potential for very heavy use of imported credits." In other words we are right back where we were at the beginning of the month with O' Halloran's description of the Scheme as "essentially a permit to pollute." This is the sort of plan that smells of either the economic bubble that O' Halloran declared it to be or a confidence game (or both). Somehow, calling the whole thing a "scheme" gives it just the right connotation! His recent actions suggest that he could have descended even lower in his illogical and immoral responses to the tragedy of 9/11. The keystone of Scheer's argument is the simple sentence, “He never learns.” Since I have a professional interest in matters of memory and cognition, I would like to use this as my own point of departure. One comment submitted by reader “atheo,” cites an article entitled “It’s All About Israel,” which may provide the best context for reading Scheer’s column. It is not so much that Joe “never learns.” It is more that he has learned “one true thing” that will probably never be dislodged from his memory; and it is important to reflect on this learning on the 40th anniversary of the Six Day War. I worked in Israel between 1971 and 1973, which is to say between the Six Day Way and the Yom Kippur War. The 1967 victory brought a wave of optimism to the country; but it also reinforced what was almost a “national motto” that has a lot to do with the subsequent undoing of that optimism. The motto was “Never again!,” the referent, of course, being the Holocaust; and it makes for an interesting commitment to priorities. The implication is that, if the elimination of the Jews is ever at stake again, then it should be prevented “by any means necessary” (although I doubt you would find many who would invoke the language of Malcolm X to make this point). This is the “one true thing” that Joe has learned; and it will always dominate every political decision he makes. I first grasped the significance of this motto in 1972. I had to vote by proxy that year, but I still went around wearing a George McGovern button. However, because McGovern had made a speech recommending that Jerusalem be placed under independent international jurisdiction, I had a lot of angry fingers pointed at me (fortunately nothing worse) by Israelis who took this speech to mean that McGovern was “against the Jews.” I quickly realized that there was no arguing with these people. As far as they were concerned, letting anyone other than the Israelis control Jerusalem was the first step down the road to another Holocaust. Have we progressed at all since 1972? At least now there are occasional conversations between Israel and the Arab world; but, for the most part, ceremony continues to trump (if not undermine) substance. Meanwhile, as a comment by “w mast” reminded us, AIPAC continues to charge ahead full steam, deriving much of its energy from that Holocaust mentality that keeps the never-again motto as alive as ever. It may be extreme to hypothesize that this little motto is the biggest obstacle to peace in the Middle East, but it is folly to ignore the impact the motto has had over the history of Israel and continues to have in both Israel and the United States. The consequence, of course, is that any candidate in either the United States or Israel who tries to get beyond that motto basically eliminates any chance of getting elected. Every spring, thousands of Mockingbird tourists flock to Monroeville to visit locations associated with Lee's life, the book and the courthouse used in the film. They also come to watch a stage adaptation of Mockingbird. Act One takes place in the grounds of the court but for Act Two the audience and players move indoors to the original oval-shaped courthouse where the book and film are set. That setting allows the drama to unfold with audience, judge, lawyers and defendant occupying the same positions as they would have held in a real trial. Black cast members are even confined to the gallery as they were under segregation. For the audience, part of the fascination is being witness to injustice. For the volunteer actors, the annual productions have also allowed them to reflect on the book's message. When one realizes that, in a reader survey, To Kill a Mockingbird was ranked second only to the Bible as the book that had most affected readers, this dramatic strategy takes on a bit of the feel of a Passion Play, complete with the roles being played by volunteer residents of the town. The Passion Play, in turn, has its roots in the tradition of retelling the key stories that shape a culture, in this case by acting out the story. Some would argue that this is the foundation of all religious ritual. This is not to imply that reading To Kill a Mockingbird (or telling its story) is a religious experience. Rather, it shapes the culture of Monroeville by keeping the memory of segregation, and the injustices that it entailed, alive. This is important to a community that has transcended its segregationist past. It is always important to remember who you are and where you came from, and this applies as much to the community as to the individual. Lee's novel may have "affected readers" almost as much as the Bible; but, in Monroeville, that impact has resulted in cultural growth. Few works of literature can make such a claim. In other words Yahoo! is trying to take the moral high ground with their rhetoric without giving much thought to matching their rhetoric with action. This should not surprise anyone. Yahoo! is no better than any other organization (public or private, large or small) when it comes to taking on China; so about the only thing that distinguishes them from Google is that their CEO knows better than to try to bamboozle us with claptrap about an "evil score." The more important story behind these stories, whether they involve Google or Yahoo!, reflects back on the moves that Vladimir Putin has been making, about which I wrote yesterday. In the game that we (whoever "we" may be) are now playing, we no longer hold all the cards; and, for a change, some of the best cards happen to be in the hands of people who feel it is about time to hold our values up to question. However disagreeable some of these people (and their values) may be, whether they are in Russia, Venezuela, or China, we seem to be tragically ignorant (through either will or circumstance) of the skills through which we can engage them. The simplistic explanation is that this is a consequence of reducing everything to questions of right and wrong or good and evil; but there may be a deeper problem that reflects (once again) on our national attitude towards education. After all, education is not just about what we get from our books and teachers, whether it involves the location of Zimbabwe or how Einstein came up with his relativity theory; it is also about acquiring a capacity for socialization in our classrooms that extrapolates out from teachers and students to just about anyone else we may encounter in the world. By all rights that acquisition should begin even before we get down to the basics of the three R's; but, when we look at the conduct of today's adult leaders (not to mention the actual social milieu in many public school classrooms), we have to wonder if the value of that capacity has lost all currency. Yesterday I recalled old Soviet rhetoric about how they would bury us. Well, they didn't; but in the grand social scheme of things, we didn't bury them either. The more urgent question now is whether or not we are evolving into a society that will bury itself. Is Chutzpah State Department Policy? Have Nancy and Harry Fumbled the Ball?